We all want to keep our commercial doors in good working condition. For that reason, you should have a reliable commercial door installation company by your side. These companies usually offer a wide variety of services ranging from installation all the way through to maintenance and repairs. But, with many commercial door installation companies in Roseville, Michigan, it is imperative you select the right one to ensure they’re the right choice for your business. Are you looking for tips to help you make an informed decision? First of all, you should ensure the commercial door installation company has a good reputation in Roseville, Michigan. Whether you’re looking to install sectional overhead doors, cold storage doors, overhead coiling doors or something else, you should look for a company with an excellent reputation to offer you high-quality services you seek. Asking other building owners or businesses in Roseville, Michigan for their recommendations can prove helpful. After all, they obviously will not recommend a company unless they’ve had an excellent experience with them! You can also check many reviews about companies online that can give you a better idea of what to expect. The next crucial step is to establish whether the commercial door installation company has vast knowledge and experience of what they do. They should be able to supply, install, maintain and repair all types of commercial doors. It is also imperative to ensure that the company you choose offer these services efficiently, quickly and without hassle. Such qualities should inform your decision-making. Remember, you will have to develop a long-term professional relationship that’ll last many years to come. Another essential factor you must take into account is the turnaround time the company promises. If your commercial building lacks a working door right now, you will not have time to wait around for the company to “come around” and offer the repair services you need. Therefore, you’re better off working with a company which provides a 24/7 service, with emergency same-day services if necessary. Finally, you should consider the cost of installation and/or service. While the cost is a crucial factor, it is imperative to remember cheap does not always mean better. More often than not, cheaper services are more likely to cause complaints regarding quality. That is the reason you should go for high-quality work over cost, period! So, as you look for a commercial door installation service in Roseville, Michigan, keep these tips in mind to help you find a company that best suits your needs! 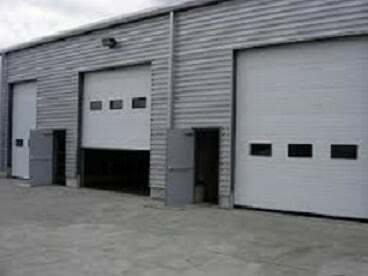 For buildings where there is constant loading and delivery of goods, overhead doors are ideal. 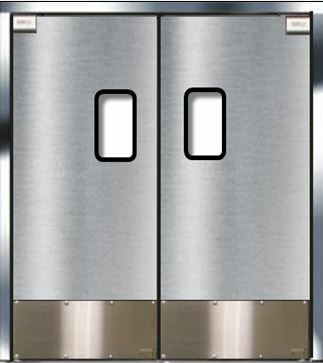 These doors are typically made of aluminum or steel and are fitted on a panel which slides upwards giving access to the building. Impact commercial doors are available and are designed to swing inwards, outwards or both ways. They are suitable for indoor use in places like restaurant kitchens where there is high traffic and hygiene is maintained because people do not touch door knobs continuously.